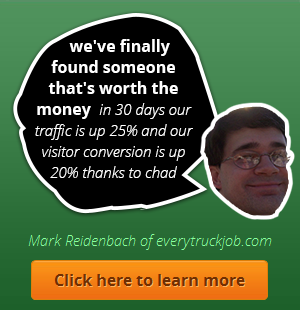 Do you know how to turn site visitors into paying customers most effectively? The goal of every internet business out there is to get as many customers as possible who visit their site to ultimately buy something from them, but the truth is most websites have horrible conversion rates and could use some help with website conversion rate optimization. The goal of every internet business out there is to get as many people as possible who visit their site to ultimately buy something from them, but the truth is most websites have horrible conversion rates and could use some help with website conversion optimization. Some sites have problems with the design that cause people to visit but not buy. These problems can often be solved with the help of a custom website designer or by setting up a landing page for your product that makes it easy for shoppers to find exactly what they’re looking for. In other cases, the problem runs deeper than one of an organization, and a full-scale website conversion rate optimization plan is needed to convert more visitors into buyers. In this case, it may be that you need a change of mindset or emphasis in the way you write about your business, to be more forceful in asking for the sale or encouraging people to move down what’s known as the conversion funnel, closer and closer to actually making a purchase. You usually can’t rely on your website alone to make sales for you. It’s a combination of having a great design that moves people through the process and having the persuasive copy that gets them to take the next step — whether that next step is buying a product or simply signing up for your newsletter. Most people don’t buy the first time they visit a website, so it’s essential to get people who are interested in your products to provide their e-mail addresses so that you can stay in contact with them and one day hopefully persuade them to buy. The timing has to be right. You need to target the buying words as well as the product or service terms. When people are ready to buy, they usually enter adjectives such as “lowest price” or “free shipping” in addition to the product they want to purchase. Conversion rate optimization is a somewhat tricky process that should involve a lot of testing of different headlines, offers, graphics, maybe even website designs, in order to determine what combination of elements is most successful for you. Most entrepreneurs lack the time or experience necessary to really effectively optimize their websites, but there are plenty of strategic internet marketing services companies and marketing consulting services out there that can help you with the testing and be tweaking your site requires to pull in the best response. The website that will provide the best conversion rate is one that combines looking good and a great structure, along with killer content that customers really want. Working with both pieces is the key to conversion optimization.